The National Academic Staff Association (NASA) in UPNG will do a voluntary withdrawal of teaching and assessing as of Monday next week. This will run for 5 days straight in pursuit of the 7.5% pay increment. 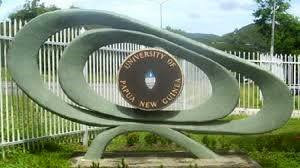 President of the NASA Mr. Emmanuel Gorea said that this will affect more than 4000 students in UPNG. Mr. Gorea said that they have waited too long and the next step was to propose 3 propositions to advance the matter further to have their legal entitlements paid. Gorea said that out of the 3 proposition, they have chosen to voluntarily withdraw from teaching and assessing. Gorea said that the outcome of the proposition is to see the university settle the 7.5% increase and to get a specific guarantee on when exactly the 7.5% will be settled. He said that they needed to get over 80% members to sign this agreement that will be circulated. He also said that they have had meetings with the UPNG management and with the Department of Higher Education but were told that there was no money.